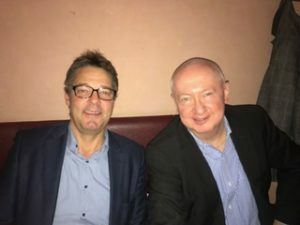 On 04.10.2017 Janusz Kahl, CEO in SPCleantech, met with Magnus Skiöld, CEO in Midroc Property Development, one of the biggest developers in Sweden and Tomas Petersson, business developer in Midroc. The purpose of the meeting was to establish a co-operation aimed at starting a business on the Polish market. Midroc Property Development (MPD) develops and manages commercial and residential housing properties in Sweden. The project portfolio includes a number of ongoing projects with land ready for construction and properties with interesting locations, primarily in the Öresund region. The head office is located in Malmö. Midroc Real Estate owns and manages commercial property, centrally located in Stockholm and Malmö. Midroc Property Development has developed 134 co-op apartments adjacent to Lake Trummen in Växjö. 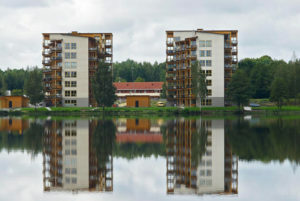 They were constructed with solid wood frame with 8 floors and is Sweden’s largest newly constructed housing made of wood.